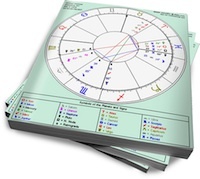 Mars in Pisces may underwhelm Moon in Leo with his soft sell, but he could win her over with his deeply romantic moves. However, if Pisces isn’t careful, Leo will end up dominating him with her considerable needs. Mars in Pisces’ expression of masculine energy is more poet/dreamer than warrior. While he can be passionate about something or someone that inspires him, he doesn’t express this energy in a Yang fashion. Mars in Pisces is a strange mix of receptive and active; he pursues or initiates, but he’s ready to receive (or dissolve) at the same time. He’s motivated by the ideal of an exalted partner. And he can easily become demotivated, especially if he feels pressured to act. Moon in Leo needs fire in her relationship. She’s not interested in conflict so much as excitement, romance and drama. Moon in Leo is the star of her show, and her ideal partner will put her on a pedestal while doing whatever it takes to keep the energy of joy and courtship alive in the partnership. But the truth is, she would be bored with a lover who was a total pushover–she respects a strong partner who treats her like royalty (a King for her Queen). Mars in Pisces may not be strong enough to make an impression on Moon in Leo. But if she captures his imagination, he might pull out all the stops and impress her with his magical courtship techniques. Nobody does pure romance like Pisces. If these two get together, it could easily devolve into Mars in Pisces losing himself as he caters to Leo. He could quickly become exhausted by her demands, while Moon in Leo would be turned off by his passivity and lack of motivation. If these two want to make it work, Mars in Pisces will have to set boundaries, and Leo will have to respect them. Which means she will have to respect him.